People want to learn about the place and the culture and the history of Transylvania, Romania and that they can learn that the history of the land goes beyond simply Dracula and Castles (or to be more specific, Bran Castle). There are links to the places which deal with the land of Hungary, and of the Romanian and German peoples of the area. Transylvania came into the public consciousness because of the writings of Bram Stoker. In a way the publishing of Dracula harmed the growth of Transylvania in terms of a different sort of tourism and many would be able to have a better future by making the land so much more. There are plenty of cultural cities where tourists can learn about the people and the history of Transylvania. And there are the writers who publish books about Transylvania. Transylvania has a remarkable history and a vast cultural environment that has always been there. It has links to countless royal families, and its place in history was powerful due to its location as a doorway to Eastern Europe. Transylvania has so much to offer to a writer, especially one who has plans of writing several books on the history or the people. There are already plenty to choose from on Amazon and other on-line book stores, but also many people who have a particular bais to one version of history or another. That means that a writer must publish a interesting book, in some ways it makes it harder since one wants to be the next big thing. The famous Bran Castle has many books written about it, so a writer needs to find a good niche and then they need to write more within that niche. Transylvania, Romania, the people and place, is a great subject for a book because a person can write and publish many books on different facets of the subject. 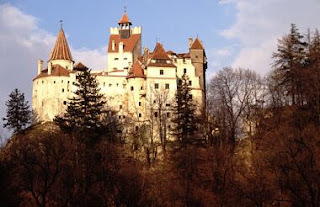 The history of Transylvania goes back to before the Roman Empire and there are many people who know about Dracula and the myths surrounding Bran Castle. Tourism is a market that is well suited for a writer since there are many places that people can go and see in the area, and still be able to travel around Europe at a reasonable cost. Because Transylvania is close to Hungary and other countries, Romania has a strong tourism branch in their government. 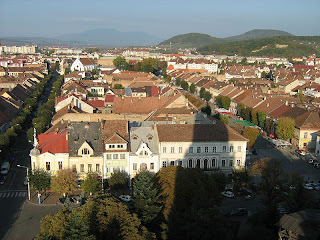 It is important that a writer takes the time to learn about the land and the people in the area and also makes sure to publish a book that accurately portrays the cities of Transylvania, and of Romania as a whole. The next step is to publish another book on Transylvania. The fact that self-publishing makes it both a challenge and a blessing to many writers gives more options to those who want to create something different. Self-Publishing means that the writer can expand on smaller niche markets, and can find where they work the best. Social media is always a huge help and with practice and authentic passion you can make a good book, and then you can write and publish another. Every step is a success, and learning and growing as a person is also a key to building a relationship with your readers so that they can see the joy and beauty of Transylvania as well. Some topics can simply start with an idea, but that idea can grow into a published book. the backstory for Dracula begins with just a name one Vlad Tepes, who would eventually become the immortal Count Dracula.